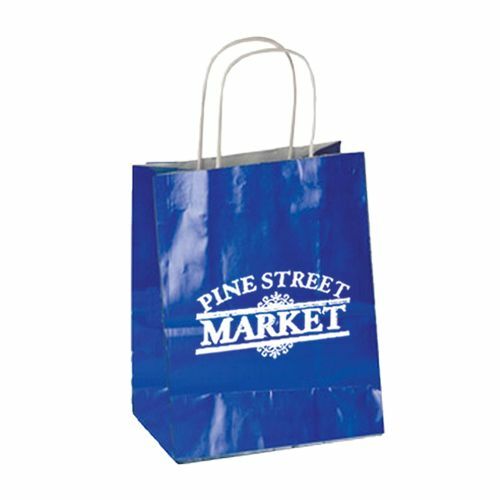 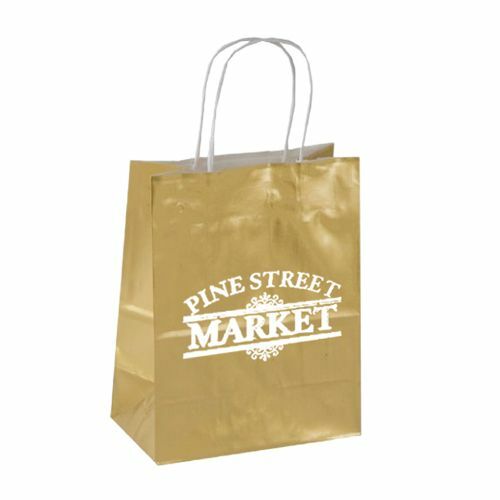 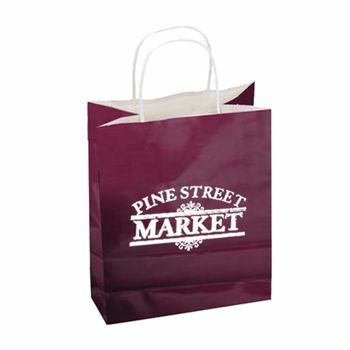 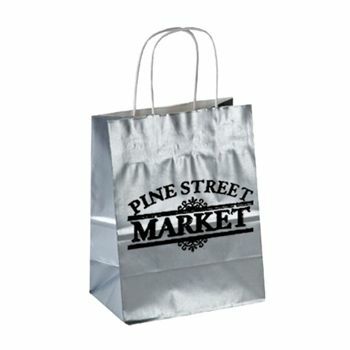 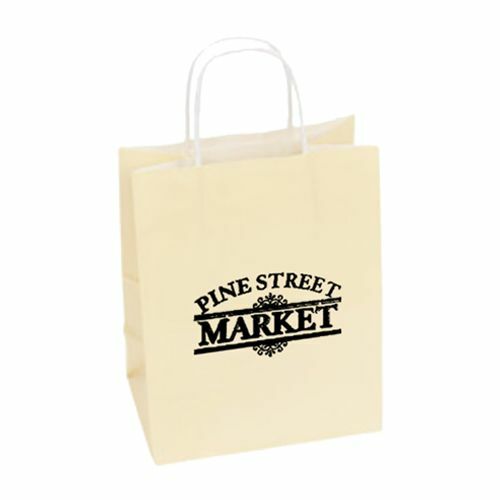 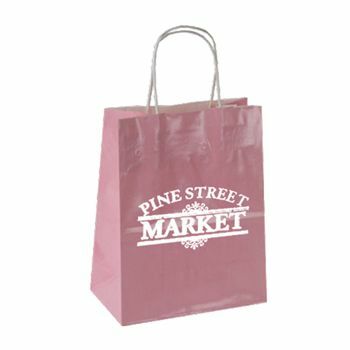 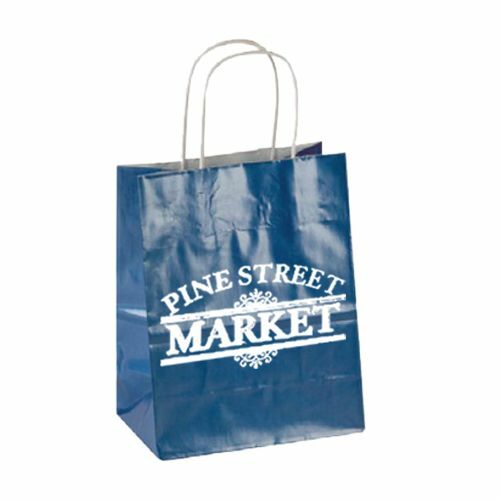 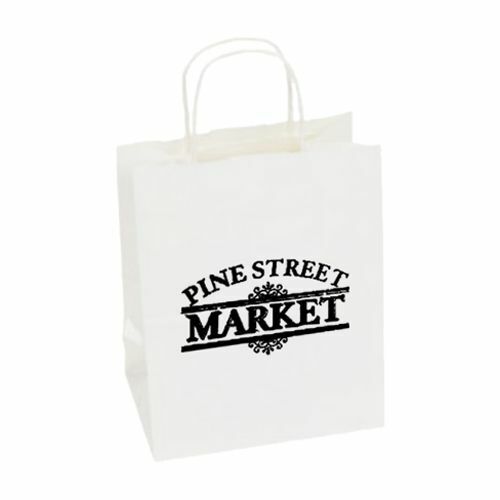 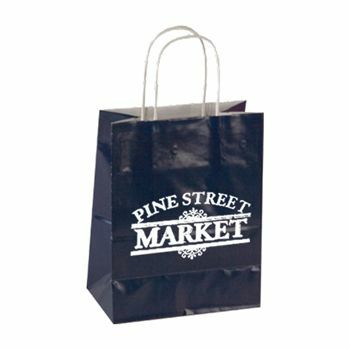 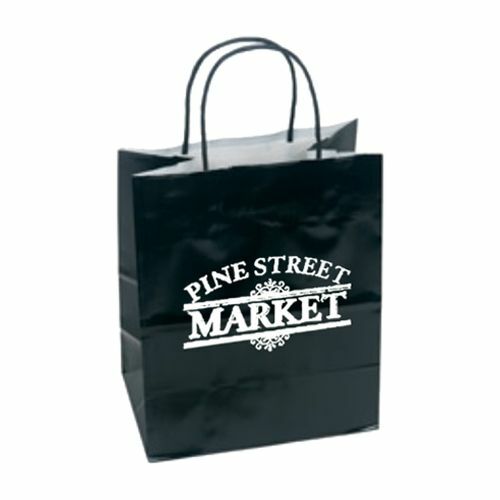 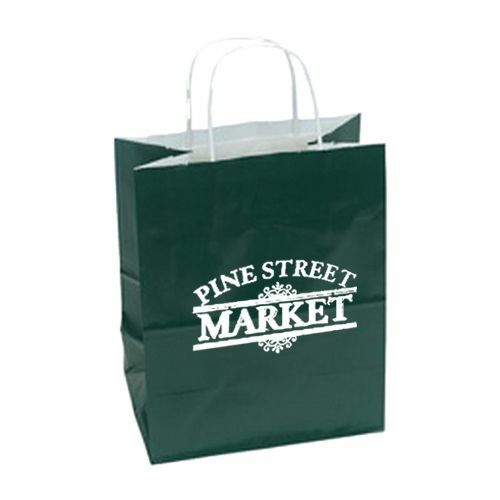 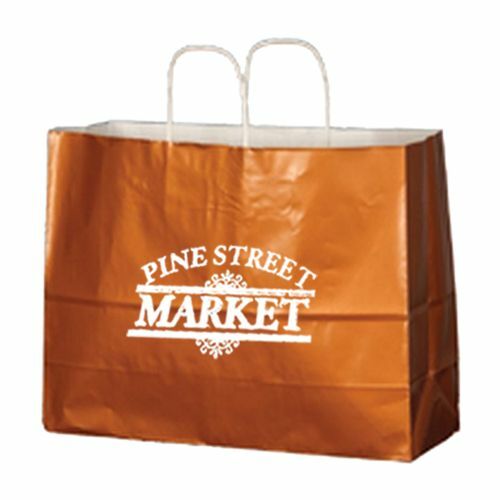 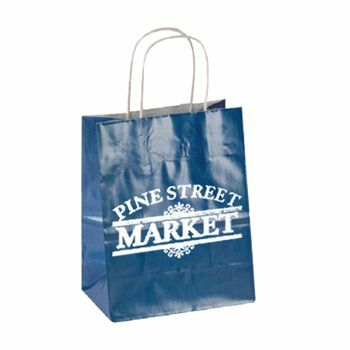 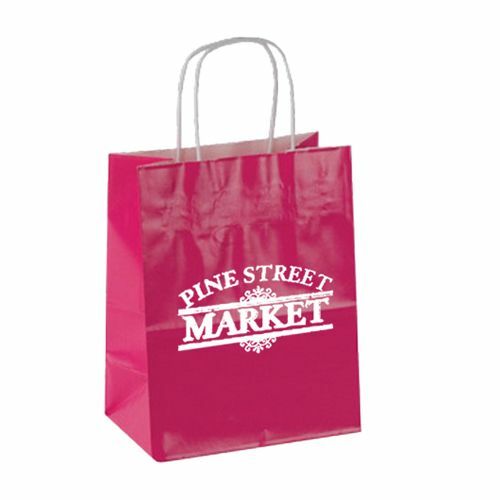 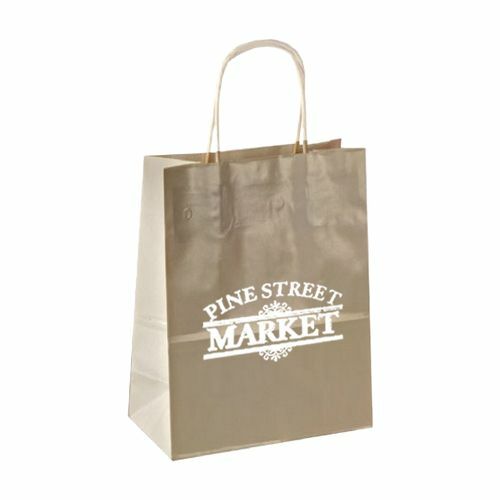 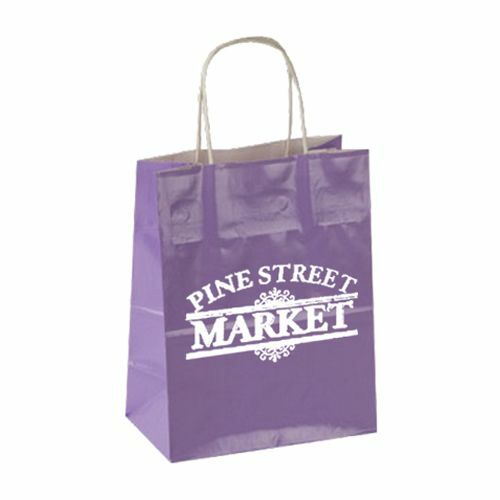 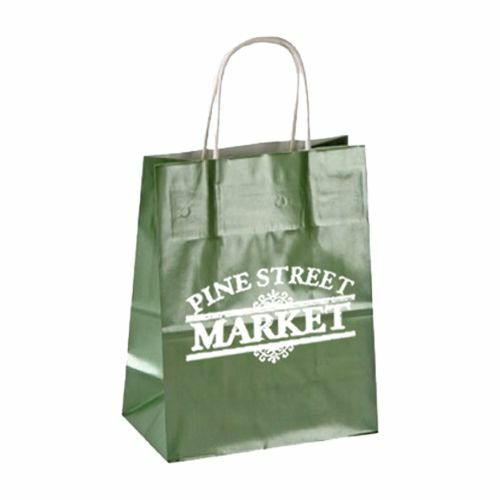 Gloss paper shopping bags with serrated edge and white kraft twisted paper handles. Black twisted paper handles on black bags. 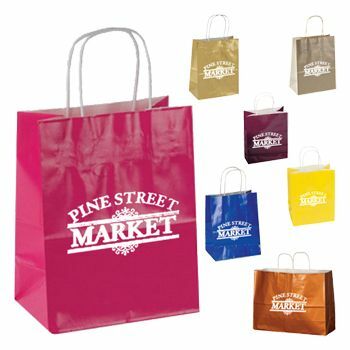 Eighteen color choices all with white interior, tinted with 100% ink coverage on all exterior surfaces.